Spurs hope that Seattle star can move to White Hart Lane in January. Tottenham Hotspur are hopeful of bringing forward the transfer of young Seattle Sounders right back DeAndre Yedlin from next summer to January, report the Mirror, after Kyle Walker and Kyle Naughton were both struck by injury during the opening weeks of this season, leaving them vuleranble in that area of the pitch. 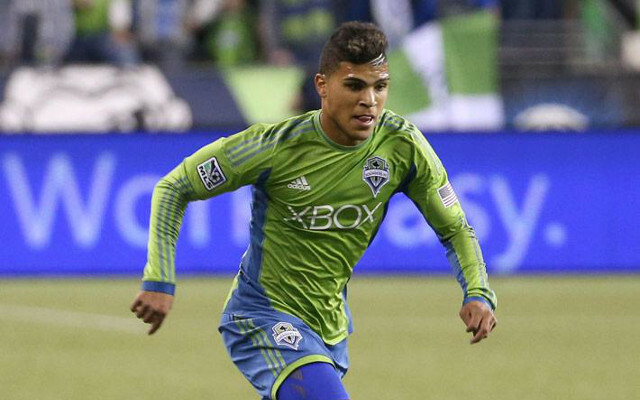 Spurs agreed a deal with Seattle and Yedlin this summer following his wonderful performance for the USA as a substitute in their World Cup last 16 clash with Belgium, whilst the lightning quick youngster has also been one of the stand-out performers for the Sounders in the MLS season. They were comfortable allowing him to remain in Seattle until June, but are now keen on ensuring that he can arrive in North London ahead of schedule to ensure that no repeat of the current injuries issues is felt. The big issue seems to surround Yedlin’s passport and, presumably, work permit issues – however, the player’s Latvian heritage could allow him to secure a passport from the Eastern European EU nation, allowing his move to White Hart Lane to go through as soon as the transfer window reopens in January.